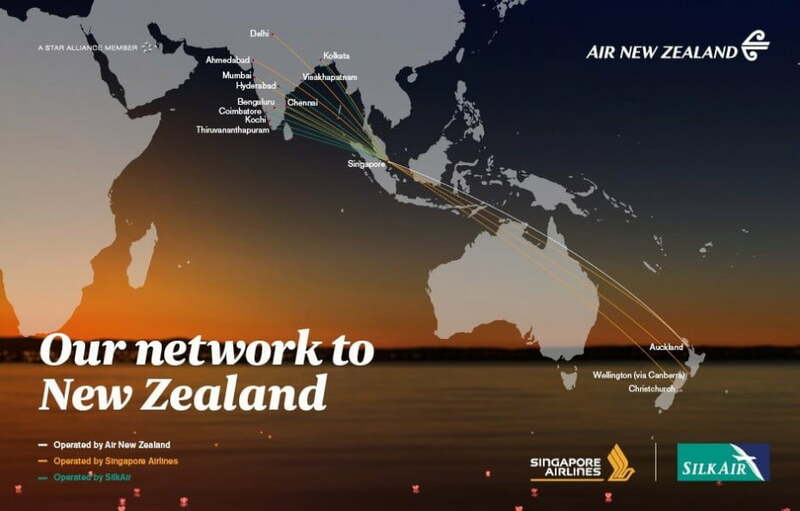 Together with Singapore Airlines and SilkAir, we are the most connected airline partners between India and New Zealand. 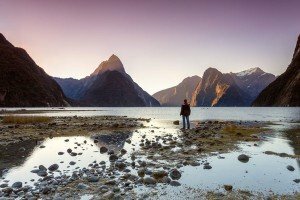 Find flight deals to New Zealand or read our top 10 destination ideas for New Zealand below. Your flight to NZ from India lands you in Auckland, where you can catch a ferry to Waiheke Island for zip-line adventures and wine tours. Another great adventure in the Hauraki Gulf is Rangitoto, a volcanic island. You can hike to the summit for wonderful 360° views of the city, harbour and gulf. There are also lava caves to explore on Rangitoto. 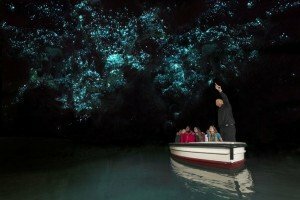 At Waitomo, you can journey underground to see glow worms and magnificent limestone formations. A really exciting way to see the caves is on a black water rafting tour, where you’ll float along underground streams on an inflatable tube. You can combine Waitomo with a trip to the Hobbiton movie set. 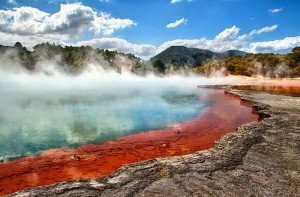 In geothermal areas, you’ll see craters of boiling mud, steaming sulphurous fumaroles, multi-coloured silica terraces and huge geysers. Rotorua also offers a lot of adventure activities, such as jet boating, luge rides, tree canopy safaris and mountain biking. You can also enjoy Maori cultural experiences, including delicious food cooked in a hangi (earth oven). The size of an inland sea, this lake is actually a giant crater created by a volcanic eruption more than 26,000 years ago. You can learn to fly fish here, to catch a rainbow trout for dinner. 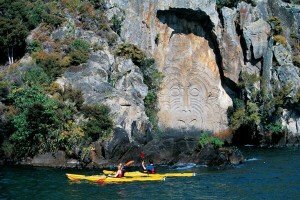 Another recommended experience is a kayak tour to the Mine Bay Maori rock carvings. Lake Taupo is also a great destination for skydiving. If you love beaches, hiking and wildlife, the 60-kilometre coastal track around the edge of Abel Tasman National Park is your kind of expedition. You can hike for just a few hours or conquer the entire five-day journey. You can also discover this extraordinary park on a cruise or kayak expedition. 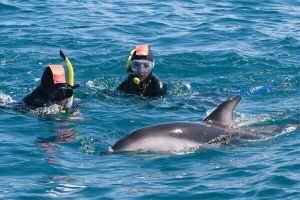 To see huge whales, New Zealand fur seals and dolphins, make sure Kaikoura’s on your itinerary. This friendly township is sandwiched between a massive mountain range and the ocean, so the scenery is spectacular. The local food delicacy is crayfish, a type of lobster that’s rich and succulent. You get the perfect combination of activities in beautiful Hanmer Springs – short walks in the forest and surrounding hills, followed by a long, relaxing soak in mineral-rich, naturally-heated pools. There are water slides at the pool complex too if you’re feeling playful. Hike alpine trails in Mount Cook/Aoraki National Park and visit Tasman Glacier, where you can touch and taste icebergs that are 500 years old. This is where you can also visit the Church of the Good Shepherd on the shores of Lake Tekapo and watch the heavens at night (stargazing) from the Mount John Observatory. 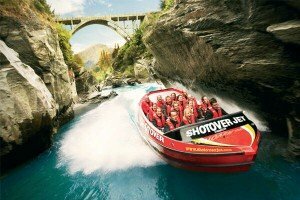 Get some Southern Alps thrills with bungy jumping, paragliding, jet boating, skydiving, canyon swinging and horse riding. In Queenstown, you can also enjoy tranquil activities, such as golf, walking, lake cruises and biking. Nearby Arrowtown is the place to try your hand at panning for gold. Maybe you’ll strike it rich! 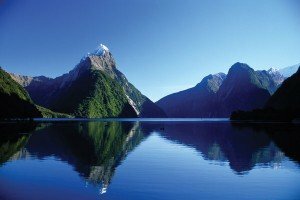 Drive, catch a coach or fly to Fiordland, then explore the breathtaking landscape on a Milford Sound kayaking tour. The scenery is stupendous - mountains rise hundreds of metres straight out of the sea and there are waterfalls plummeting from glacier-cut valleys high above. As well as kayak tours, there are cruises and scenic flights to enjoy here.